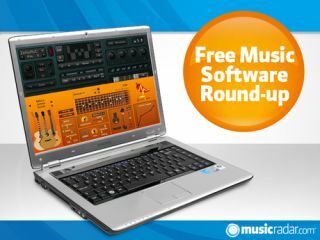 The free music software market is beautifully diverse, as this week's round-up ably illustrates. We've got an acoustic guitar emulation, a synth that uses Twitter to generate its sounds, and another for fans of psytrance. It's always rather satisfying to be able to download a free plug-in that used to cost money, and that's exactly the opportunity you're being presented with here. Spicy Guitar is a physically modelled acoustic guitar synth that features nine guitars and a strumming engine. It previously retailed for €89 - video demo here. This intriguing experimental synth represents an attempt to explore the sound of Twitter. It's capable of both additive and granular synthesis and 'calls' Twitter once every 30 seconds, using a new Tweet to generate sound when it does so. Confusing? Quite possibly, so we'd advise you to watch this video if you want to find out more. If you like to make psytrance, Tekky Synths thinks that it has just the instrument for you. Once created by the oscillator, the signal runs through a multistate filter and you then have the option of modulating with a pitch LFO. Then, thanks to the four short delays, you can create the Haas effect.